Jesse has just turned 4, and having him in hiking boots has made such a difference to him, and us, in the great outdoors. He’s nimbler on his feet, more secure in his footing and far more comfortable than he ever was in wellies. 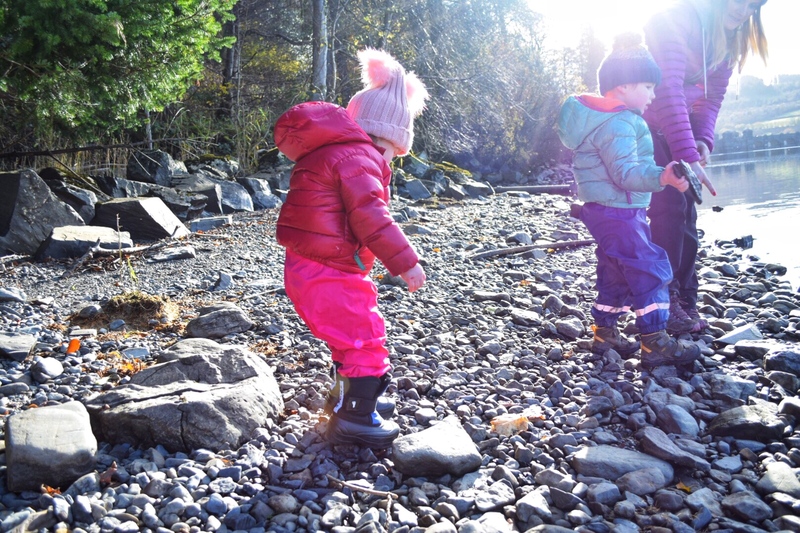 The problem is that most toddler hiking boots pitch their smallest sizes from about age 3 onwards. This is fine for Jesse, but what about our other intrepid explorer, Amelie? Having just turned 2, most manufacturers probably don’t see the need or point in dedicating an outdoor-specific boot for someone that probably doesn’t walk that much. Here, we hit another problem. She does walk. Miles! Thankfully, Stonz got in touch with us to say that they had something to solve our issues. Step forward the Stonz Winter Bootz. Now, when they first arrived, I took one look at them and thought, ‘ooh, they look a tad heavy’. How wrong could I have been! They are ridiculously light. Far lighter than Amelie’s wellies or Jesse’s toddler hiking boots. Given the amount of support and protection that these afford, I’m genuinely blown away by their weight. It’s a marvel of design. As they are called the Stonz Winter Bootz, I obviously wanted to know about their credentials. I could call a pair of thin knitted gloves ‘winter gloves’ but I could also guarantee that they wouldn’t withstand the sort of winter abuse I’d throw at them. So, how did these winter-specific boots stack up? Now, here’s is where I have to open up and be a little bit honest. I take great personal pride in testing outdoor gear. It’s a passion of mine. These, however, had me stumped. Don’t, in anyway, take that as a negative, though. You see, these are designed to withstand temperatures down to -50oC. I can’t get near those sorts of temperatures here in the UK. All that I will say is that we have been out in these on some damn cold November days. Days, where you can see your breath before your eyes and feel your hands and feet ache with cold, if they are not adequately protected. The Stonz Winter Bootz must have laughed in the face of our cold weather. Now, their ability to keep water out was definitely something I could test to the limit here in the UK. 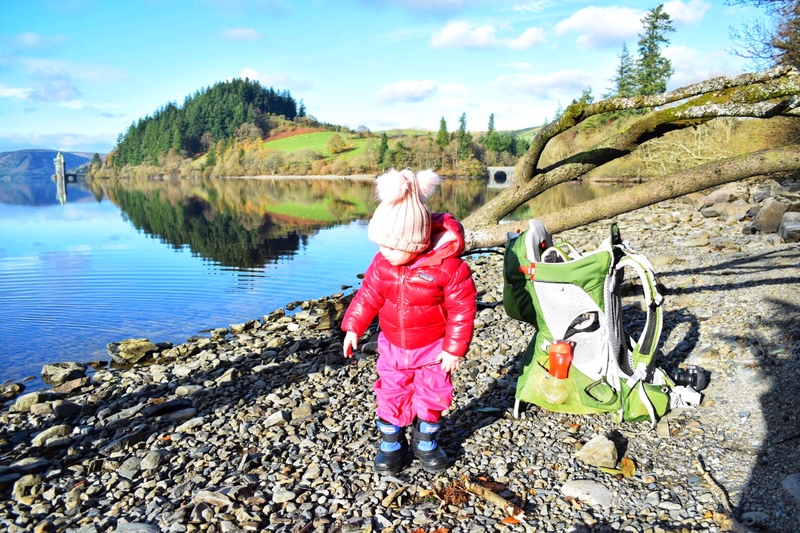 Not only did we test them in our very seasonable British November rain, Amelie also used them for our hike around the Lake Vyrnwy trails. 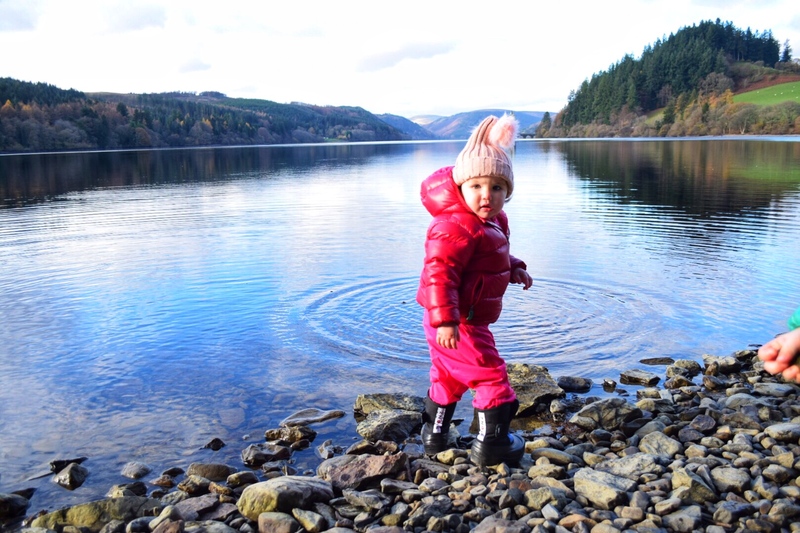 Anyone, who knows anything about toddlers, will tell you that if you take them within sight of water, they will want to go in it. And she did. 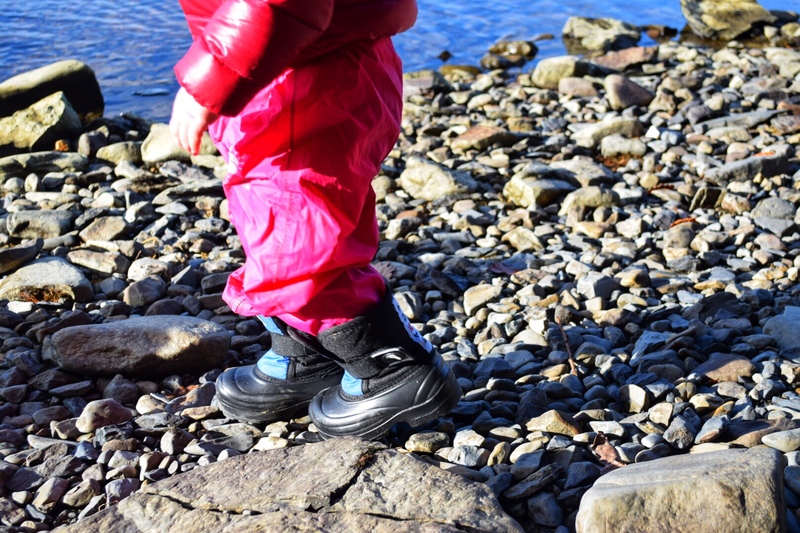 Fortunately, the Stonz Winter Bootz were as good as their promise and delivered a completely waterproof performance. 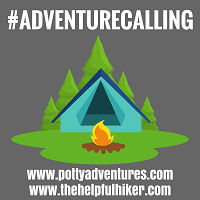 As the entire lower section of the boot is constructed of a lightweight rubber compound, you won’t need to worry about avoiding puddles or splashing in streams. 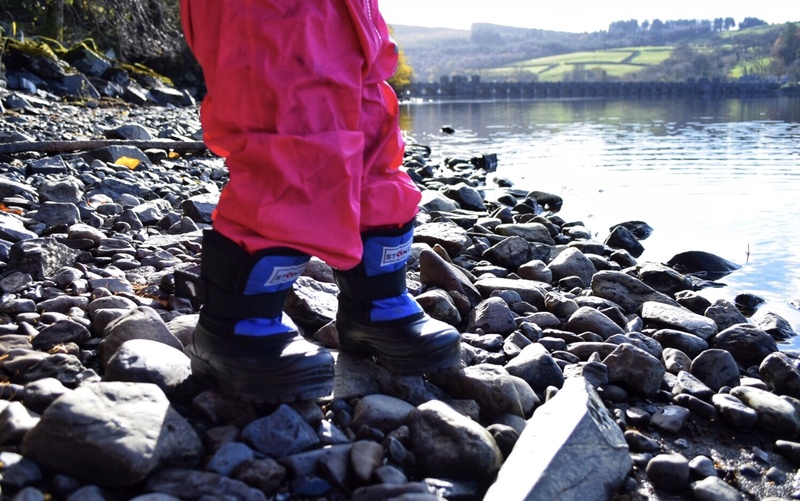 Furthermore, the super-tough 600D nylon upper that guards the rest of the lower leg is both wind and water resistant, so keeping little feet dry during our cold winter period won’t be a problem. 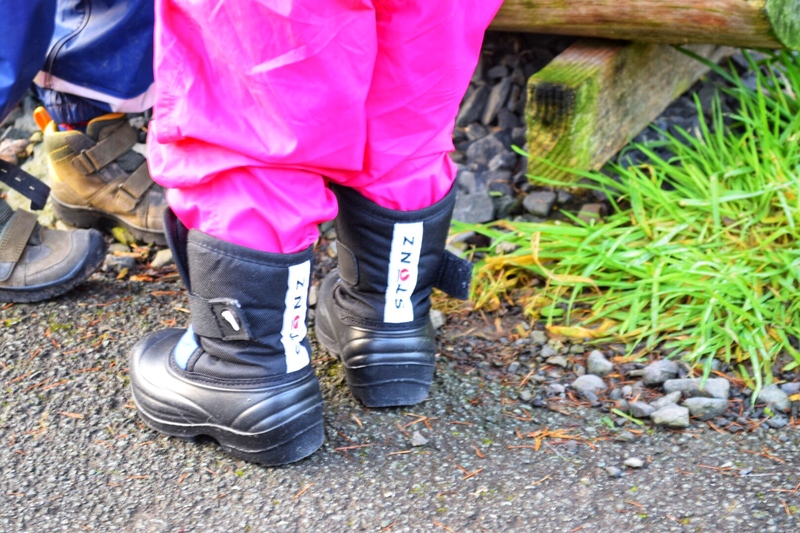 We mentioned earlier how capable these boots were in keeping little legs and feet warm. As well as the amazing ability of the outers, the inners are also designed to insulate and provide comfort. Made using Radiantex, a plush felt-like material, these will wick moisture away from active and sweaty feet, further enhancing their ability to keep little ones warm and comfortable. Not only that, but they’re removable too, so Amelie can run around as much as she wants, building up a right stinky sweat in the process, as we can take them out and wash them. Lastly, the combination of buckle, drawstring and Velcro make a boot that is super-easy to secure. 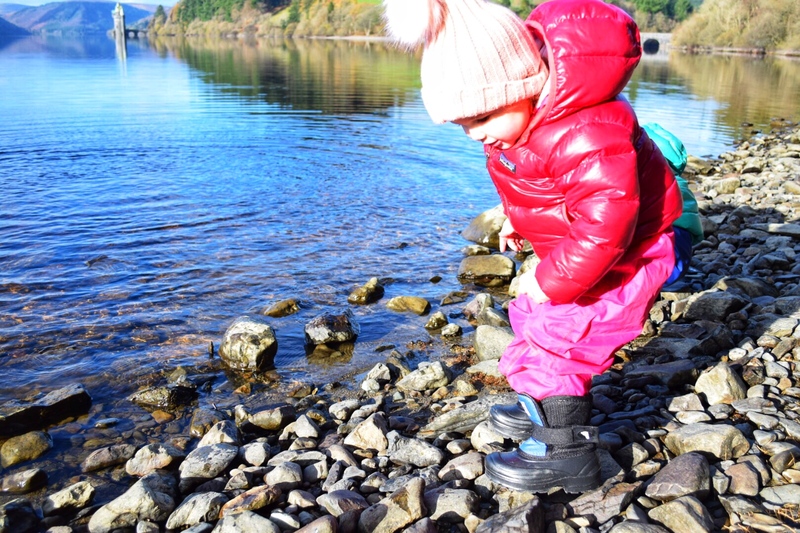 Having had experience of the Stonz Mittz, I knew that they were designed to be incredibly difficult for little ones to drop or remove. Well, they’ve come up trumps again with the Stonz Winter Bootz. Despite being very easy to get Amelie in and out of, they are properly secure within seconds. This also helps with her ability to walk. They are at one with her feet and don’t carry with them the awkwardness of wellies. 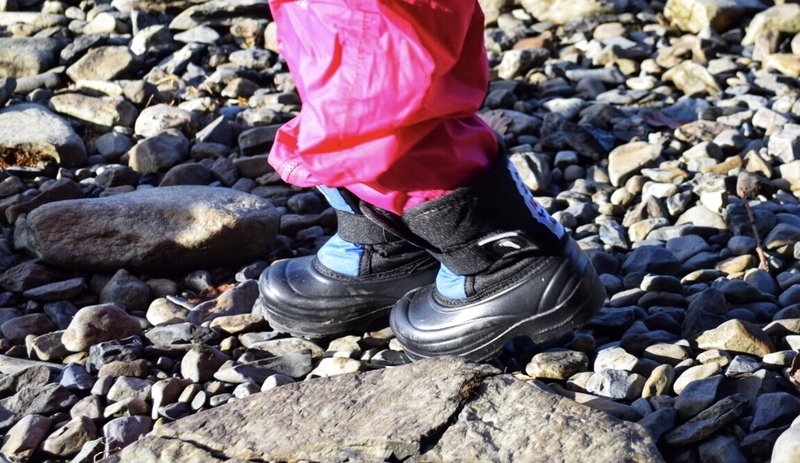 Overall, these are a perfect boot for active kids to adventure in during winter. They are so lightweight that they even surprised me; super-protective and easily secured. The fact that our just-turned two-year-old finally has something to meet her outdoor needs has made me one happy parent. The fact that they are available for kids as young as mine, as well as kids as old as approximately 14, will also mean there are potentially a wealth of happy parents out there.